Here’s a major macroeconomic sacred cow among professional economists and the politicians whose fiscal profligacy they enable: the presumed salutary effect of an increase in government spending on economic activity, including its so-called “multiplier effect”. Government fiscal stimulus is prescribed by the Keynesian school of economics to remedy any decline in the total demand for goods. A classic case is “underconsumption”, or excess saving, such that labor and capital resources are in excess supply. The idea is that government will mop-up some of this excess saving by borrowing and spending the proceeds on goods and services, putting resources back to work. In the standard telling, digging holes and refilling them is as effective as anything else. The increased income earned by those resources will be re-spent, creating income for the recipients and leading to repeated rounds of re-spending, each successively smaller due to “leakage” into saving. Adding up all these rounds of extra spending yields a multiple of the original government stimulus, hence the Keynesian multiplier effect. The stimulation of the demand for goods and services pushes the economy back in the direction of full employment, thus correcting the original problem of underconsumption. Nice story. Keynesian economics is a short-run, demand-based framework that delineates behavior by the constructs of national income accounting, segmenting demand into consumer spending, investment in productive capital, government spending, and net foreign spending (net exports). Except for the limit imposed by full employment, the supply side of the economy and the processes giving rise to growth in productive capacity are ignored. 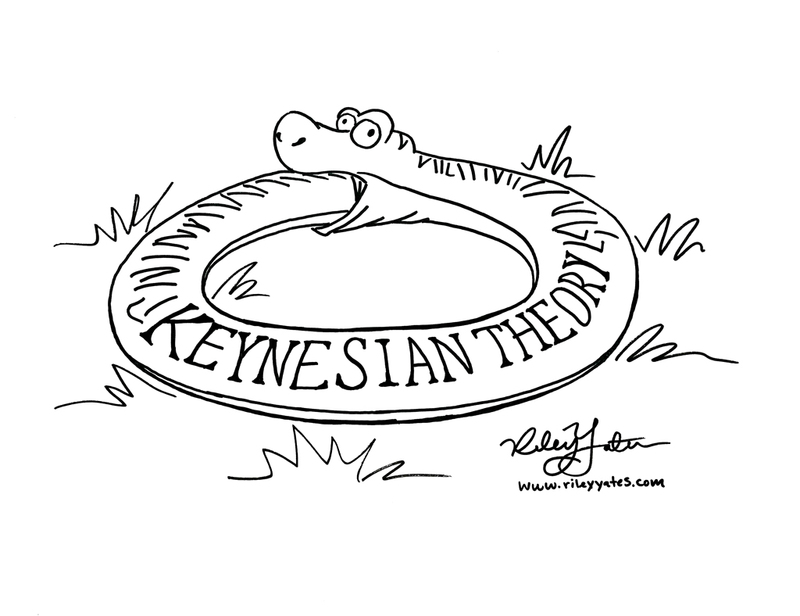 Within the Keynesian framework, can offer many qualifications to the story of a shortfall in demand to which even a dyed-in-the-wool Keynesian would agree. First, government stimulus cannot have an effect on the real economy at a time when the economy is operating at full capacity, or full employment. The increased government spending will only lead to bidding against other uses of the same resources, increasing the level of wages and prices. Another qualification within the Keynesian framework is that the leakage from spending at each round of re-spending is made greater by taxes on marginal income, thus reducing the magnitude of the multiplier. In addition, some of the extra income will be spent on foreign goods — another leakage that reduces the multiplier effect on the domestic economy. In fact, this is why multipliers for spending at local levels are thought to be relatively small. The more local the analysis, the more income will be re-spent outside the locality at each round. More fundamentally, private parties should know that increased government borrowing must be repaid eventually. At some level, they know that additional taxes (or an inflation tax) will be necessary to do so. Therefore, their reaction to the additional income derived from government demand will be muted by the need to save for those future liabilities. Put differently, consumers do not view the gain as an increase in their permanent income. That’s essentially the mechanism underlying the “Ricardian equivalence” between methods of funding government spending (government debt or taxes). 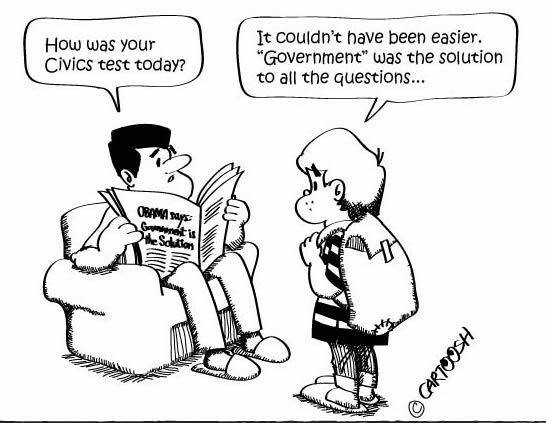 In the “real world” there are many other practical problems that lead to ineffectual and even counter-productive government stimulus. One is the problem of cost control endemic to the public sector. Related to this are seemingly unavoidable timing issues. These factors have a strong tendency to make counter-cyclical fiscal programs too costly and too late. There is also the tendency toward graft and cronyism wherever the government spreads its largess. The “perfectibility of man” is certainly not evident in the execution of government stimulus programs. 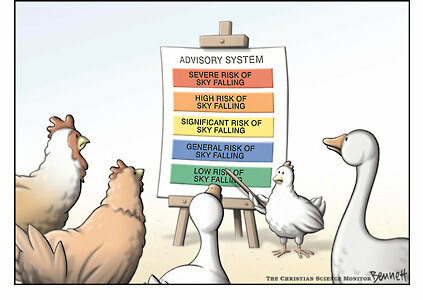 Their economic impacts often become pro-cyclical, or even worse, they become permanent increases in spending authority. More on the latter below. Deeper objections to the Keynesian framework have to do with its demand-side orientation and the conceit that government, solely by borrowing and spending, can contribute to “real demand” and add to a nation’s output. And even if government spending takes up slack at a time of unemployed resources or excess supplies, it is unlikely to resolve the conditions that led to the decline in private demand. Therefore, even if government stimulus is successful in spurring a temporary increase in actual production and utilization of resources, it is likely to delay or prevent the downward wage and price adjustments necessary to permanently do so. Recessions are typically characterized by an effort to work off over-investment in various sectors: housing, commercial structures, oil and gas extraction and processing, technology assets, inventories, or factories. Over-inflation of asset values is usually at the root of malinvestment, often accompanied by overinflation of wages and prices. These dislocations do not occur evenly, but the market process acts to correct misallocations and mispricing precisely where they occur. It might take time, but if government steps in to prop-up weak sectors, forgive the economic consequences of mistakes, and place more upward pressure on wages and prices, the dislocations will persist. So again, even if stimulus and the multiplier effect offer a short-term palliative, the benefits are illusory in a real sense. The long-run consequences of failing to allow markets to repair the damage will be negative. One of the greatest skills that economists should possess is the ability to discern the most plausible counterfactual in a given situation: the world as it would have played out in the absence of a particular event, often a policy initiative. This is a great shortcoming among those who subscribe to the efficacy of government stimulus programs. In the scenario just described, there will be a decline in capital investment, consumption, and saving, but that saving, whatever its level, will still be channeled into capital investments unless the funds sit idle in bank vaults. If the saving is instead absorbed by the government’s effort to fund a stimulus program, even that reduced level of investment will not take place. The net effect is zero! 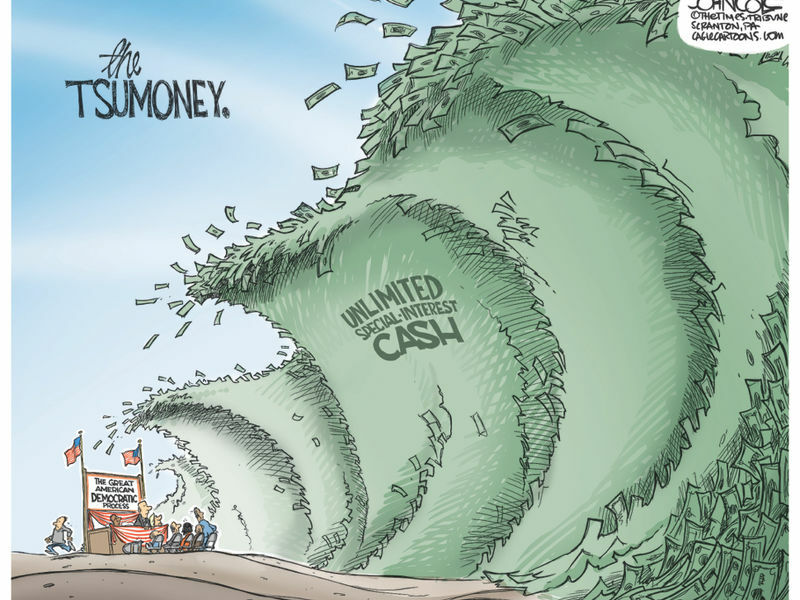 Thus, the Keynesian stimulus and multiplier effect represent a failure of the economics profession to “see the unseen”, as Frederic Bastiat would have put it. Unless government can produce something of value to generate income, perhaps something that improves private returns, it will not contribute to income growth. In a footnote, Mitchell and Debnam note that Milton Friedman once said, “Nothing is so permanent as a temporary government program.” The Keynesian prescription for stimulus allows politicians to assert that they are empowered to rescue the unemployed or those suffering a loss of income. They want you to believe that they can do something. The multiplier gives license to still greater mischief on the part of politicians, because it can help politicians sell almost any pork-barrel project. But continuing government expansion requires that it extract resources from the private economy. That’s true whether the government spends directly on goods or redistributes, and the mechanics of these processes involve additional resource costs. As long as government can borrow private savings, politicians will disguise the true cost of their munificence to constituents. Economists should not be their enablers. In December, Laurence Kotlikoff wrote in Forbes about large chunks of federal spending over many years that have not been reconciled with known accounting transactions. (The link is to a cached version of Kotlikoff’s article because Forbes blocks its site to those using adblockers). I first learned of these massive discrepancies at The Solari Report, which covered the issue in February. At first, I was so dumbfounded by the numbers that I thought it might have been a joke, or worse: fake news on Solari? But the story is real and it is shocking: $21 TRILLION of spending that cannot be explained, spanning the years 1998-2015! That’s more than five times the level of federal spending in 2017. It’s also shocking that the gap has gone almost unnoticed by the news media, though a few specifics have garnered attention at different stages of the disgorgement, as demonstrated by the various links provided in the Solari article. All five explanations represent a form of failure of governance or government administration. Some are more nefarious than others. While #1 might seem fairly innocuous, it nevertheless would demonstrate a slovenly approach to record-keeping and accountability as well as a ripe temptation to anyone seeking opportunities for graft. Furthermore, one cannot trust that #1 is the full explanation. The amounts are so massive that they far exceed the waste in government that even I thought possible. And no one in the federal agencies seems to have an explanation. Mark Skidmore, a Michigan State University economist who has studied the issue and made inquiries with these agencies, describes what sounds like a runaround. In December, however, the DOD announced a positive step: it’s first-ever department-wide independent audit. The Office of the Inspector General (OIG), the Congressional Budget Office, and the General Accounting Office are certainly aware of the discrepancies. Links to supporting documentation at the OIG and DOD web sites appear in both the Solari and Kotlikoff articles. If these funds have been wasted or misused, taxpayers are the victims, of course. There are a few well-known examples of private and even public companies that have victimized investors to perhaps a similar (proportionate) extent over the years. Bernie Madoff and Exxon come to mind. But in general, public companies cannot escape demands that their books be in order and that they produce value over time. The federal government, however, has received a pass for this fecklessness over many years. Perhaps it’s because the public has such low expectations for the government’s effective use of tax dollars. Federal agencies such as HUD and DOD seem almost as budgetary “black holes” into which tax dollars are sucked, with an apparent lack of scrutiny. “We must recognize the possibility that massive fraud is being perpetrated against the American people. If that is not the case, it would take relatively little effort and expense to put that concern to rest. On the other hand, what malfeasance might investigation reveal, and who might be responsible? One thing’s clear with respect to President Trump’s budget proposal and the ongoing debate over appropriations: federal spending will increase and add to future budget deficits. This follows the Tax Cuts and Jobs Act (TCJA) enacted late last year, which many expect to add upwards of $1 trillion to deficits over the next 10 years. I have offered mixed praise of some of the reforms and rate cuts in the TCJA, though it does not accomplish much in the way of tax simplification and it will almost certainly require a large increase in federal borrowing. Ultimately, however, dollar for dollar, a tax cut giving rise to a deficit inflicts lower (or even negative) costs on the private sector than an unfunded spending binge, which is costly in the most basic terms: resources devoured by government. The cost of an extra dollar of government spending at the most basic level is the value of lost opportunities to which the resources absorbed by government otherwise could have been put. When the government spends an extra dollar, and if the government pays a competitive market price, the goods and services exchanged for that dollar by private party “A” would be valued at more than one dollar by other private parties who lost the opportunity to trade with “A” for those same goods and services. There might be a strong case for incremental spending in any particular instance, of course. Can we benefit from more national defense? Infrastructure? Grants of foreign aid? Subsidies for this industry or that? This technology or that? This cultural program or that? Public aid? Primary research? Regulatory budgets? I’d favor very few of those as general spending priorities. However, there are many subcategories and so many special interests that it is difficult to control spending as long as compromise is needed to accomplish anything. The Trump budget is a mix of cuts in non-defense spending and large increases in defense, infrastructure outlays, and border security. On balance, it would lead to substantially higher budget deficits over the next ten years. He won’t get all of what he wants, but it would be astonishing if larger deficits are not an outcome. 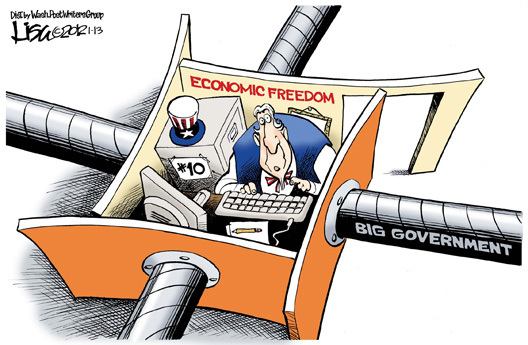 Unfortunately, government is typically inefficient in the execution of its tasks and it is less responsive to price incentives than private buyers, who are fully vested in “ownership” of the dollars they spend. Government agents, no matter how honorable, simply do not have the same kind of stake in the outcome as a private owner. Obviously, spending by federal agencies is influenced by the political process, which creates opportunities for side rewards for those who direct or influence spending and those who receive the payments. These side rewards are pure private rents arising from public largess. For a private party, the profitability of transacting with government may well exceed the normal return to capital or entrepreneurship. The efficiency of government spending is compromised by its political nature and the uneconomic behavior of government agents. I therefore have strong doubts about the cost-benefit comparison of almost any public initiative. 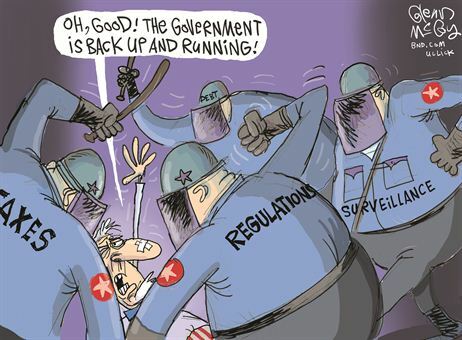 The government ultimately acquires its funds from taxes enforced via coercive power. After all, tax collection requires a considerable enforcement effort. A tax payment of one dollar requires the sacrifice of things that would have been acquired, now or in the future, in voluntary, private transactions valued more highly than one dollar by the taxpayer. That is the nature of gains from voluntary trade foregone. The result is that one dollar of taxation extracts more than one dollar of value from the private sector. Conversely, a reduced tax liability of one dollar means that private parties can engage in an extra dollar of voluntary trade and benefit from the surplus. There are few forms of taxes that don’t distort incentives in the private market. Taxes may blunt incentives for work, saving, and deployment of capital in productive uses. To the extent that these private decisions are twisted by taxes in ways that differ from fully voluntary decisions, there is a further loss of value and resource waste. Eliminating these distortions is always a worthy goal. 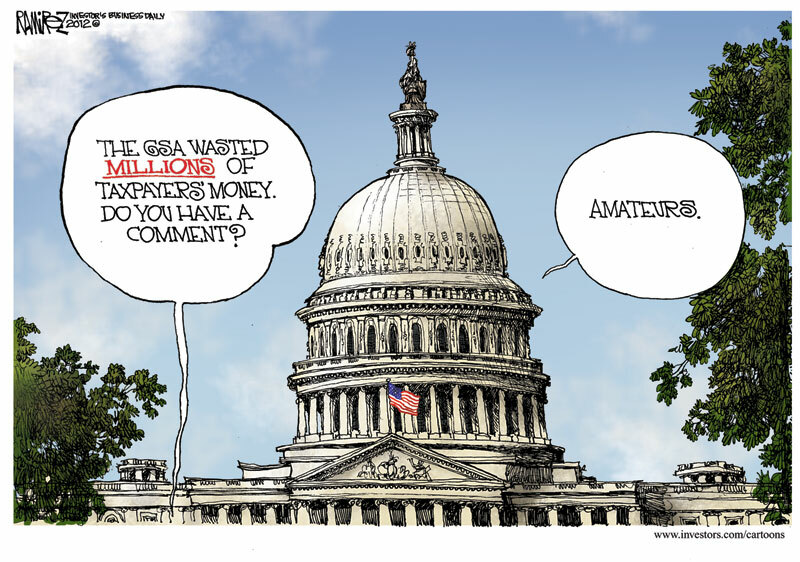 Government has ways other than immediate taxation of paying for excess spending. One is to borrow from the public, domestic or foreign. Those who purchase the government’s debt, loaning their money to the government, do so voluntarily. That debt carries an interest obligation by the government, and it must repay the principle some day. That will require new taxes and their attendant distortions, even more borrowing, and/or some other method of extracting value from the private sector. A principle known as Ricardian equivalence holds that the effects of government outlays are the same whether financed by taxes or borrowing, because taxpayers know that future taxes will be owed to pay off government debt, and so they discount that liability into their behavioral calculus. Additional borrowing can create an unstable financial environment if borrowing occurs at interest rates higher than the economy’s rate of growth. Borrowing might also “crowd out” private borrowers, absorbing saving that would otherwise be used to finance investment in the economy’s productive capacity. In other words, the resources acquired with that extra dollar of government spending will lead to less private investment and a sacrifice of future production. Another way that government can pay for spending is by imposing an inflation tax. This amounts to a devaluation of privately-held assets accomplished by inducing unexpected inflation. It allows government debt to be extinguished in the future with dollars having reduced purchasing power. Essentially, more currency (or its electronic equivalent) is placed into circulation: money printing, if you like. That sets up the “too-much-money-chasing-too-few-goods” inflation cycle. But like any other tax, the inflation tax is involuntary and creates waste by inducing the public to respond to distorted incentives. An additional dollar of government spending absorbs a dollar of resources, and destroys more value than that given lost surplus to those who would otherwise have benefited from those resources. Moreover, the spending often fails to return a full dollar in benefits, often lining the pockets of elite grifters in the process. Ultimately, the funding for incremental spending must be commandeered from private parties via taxes or an inflationary taking of assets. Public borrowing might conceal the reality of taxes for a time, but it may crowd out productive investment that would otherwise enhance economic growth. So a case against incrementally larger government can be made in terms of resource costs as well as the distortionary effects of taxes and dissipation of future private growth. By the same token, an ostensible reduction in taxes might be illusory, to the extent that future taxes or an inflationary taking will be necessary to cover the debt one day. On the other hand, there is no direct resource cost involved, and a tax reduction unbinds constraints and distortions on private incentives, which is unambiguously beneficial. And that’s true as long as the tax reductions aren’t targeted to benefit particular sectors, parties or technologies in any new misadventures in government central planning. Deficits, in and of themselves, are either irrelevant or possibly damaging to long-term economic growth. You’ll get them with either tax cuts or spending hikes. But spending hikes absorb real resources, whereas tax cuts release resources by transforming a dead weight loss in private markets into proper gains from trade. If deficits are a problem, and if eliminating them requires costly tax distortions, then the real problem is the expanse of the state.